Design unique personalized t shirts. 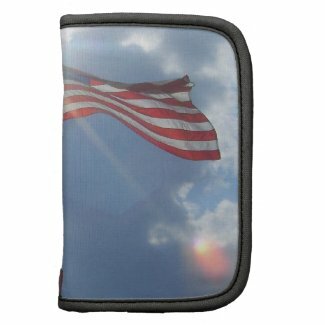 Put your favorite photo on iPhone case designs at Zazzle. Design a unique personalised i phone 4 case online at Zazzle. 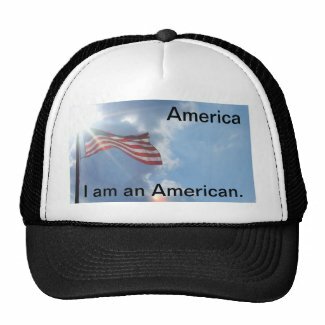 Design customized iPhone cases online at Zazzle. 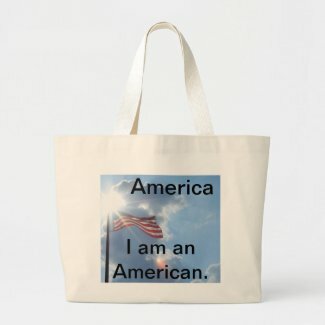 Create your own photo tote bag from zazzle.com. “Today, has been a very busy day – with hobbies and learning stuff. I thought it might be interesting to post the work (part of it) done since around 7 a.m. today. The previous two posts show the photos of these lessons from College Chemistry being woven into a dynamic new solution set to help our dams around the world to be repaired once they are damaged or compromised in any way. Hopefully, somehow, some way – I can find a path to the Changhe group to use these ideas to add to their own and others to help China fix the dams within the region that now jeopardize the people already suffering from the earthquake damage. I wish there was an easy way to wrong the ideas of our time with less force, but I’ve long ago given up that effort. It is a waste of time. And, as much as I know that on Memorial Day Weekend, whether disabled or not, I’m supposed to be picnicking somewhere with family or friends – not working on this, I’m glad to be donning the mantle of working on something worthwhile. Because I live in the United States and serve as a citizen of our country, there is no way I could email the plans and ideas which were the product of today into the Chinese government community without upsetting our operations’ officers here. Consequently, after much thought about it today, I realized the public in our country and around the world have as much right to access this as anyone. I wrote it, I created it, and yes, sometimes my best workshop is in my bathroom because I can smoke cigarettes in there and hoist the smell out the ventilator fan – it is also a bit more private than the rest of my apartment / condo. Regardless, I work everywhere in the place where I live – no matter where it is. This is just one of many days that I’ve worked on things “cause I can.” Right now, I’m playing Christmas music by Frank Sinatra and Bing Crosby from a Christmas gift from Mom and Daddy last Christmas that I’ve just now gotten a chance to even play. This seemed like a good day for it – but don’t tell my neighbors that I am aware it isn’t Christmas right now. They wouldn’t necessarily consider it as noteworthy as the fact that they are putting up with hearing those songs one more time coming from my apartment. The little wire gizmo in the picture is a helix spiral for the atomic complication that I’m working on for the remaining portion of the package that will add information and maybe a little help to the efforts to construct a working system and polyu- compound for fixing these dams and others. We have quite a few that have needed some exceptional repair products for use in extreme conditions, also. There are always some paths to get them to NCGS or somebody. Anyway, I have encouraged my youngest daughters and my first grand-daughter to have a picnic in their living room today – while they still have a living room around them, and celebrate the holiday with a pic-a-nicka basket on the floor, some sandwhiches and a good old quilt. Hopefully, they will remember how to build a tent fort and show grand-daughter-J what that is like. Sometimes, it takes more patience than I have to work with those girls, but there you go. Gotta love em. – – – – – and, the first idiot that tells any of them – (my children) – what I’m working on – has had it. Have a great day – and a great festivity tomorrow. 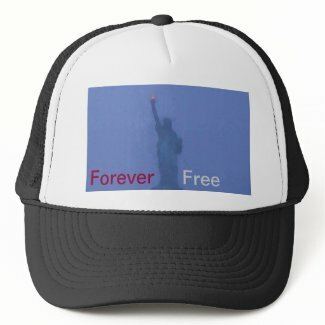 And – check out CurrentTV Star Spangled Banner thing and Memorial Day Tributes – They are awesome! And – so are the others on FOX and CNN and NBC and . . .
Southerners are a little suspect, I suppose, since they talk different and act funny. But, the Southern families I know had a war that was fought from their kitchen tables and out in their own fields and yards. Having been born essentially a Southerner from several generations of Southerners on both sides of the family and both sides of the War, I was an insider with two feet outside the door. I wasn’t born in the South and we lived a lots of places but we always came “home” and behind closed doors, ours was a little bit of the South for all intents and purposes. There’s a lot of military people in the South and throughout my life, I’ve hovered around their dinner tables more than a time or two, both in my own family and others. Now, I’ve been to some other family dinner tables for comparison and I’m here to tell you, its different. Probably because their War was fought from here and the kitchen table and dining room table served as a workbench, gun cleaning shop, ammunition reloading spot, boardroom for planning, kitchen table science and invention worktable and a place to sew tents, quilts, socks, blankets, pouches, belts and saddles, these rules I found were understandable. When I go in someone’s house that has a kitchen table, dining room table or coffee table that is empty as a magazine picture – my first thought is, “don’t live here – they don’t.” And I know, they don’t have any Southerners in the family or they’re trying to pretend they don’t. And, it can really be either one, but it does mean that there are skill groups that they don’t consider to be activities done at home, for whatever reasons. This may not be an actual Southern thing, but I sure did find it in the bootlegging families of the South and in the North Carolina mountain families of Southerners we had come from. After the government marched off with the Cherokee Indians and sent revenuers up into those hills, Southern families there didn’t see the US government the same way. And, “war is where you have it.” “You haven’t got to go find it – it will always find you.” They explained that to me pretty accurately from where they are sitting. Anyway, I had noticed some similarities over the years and decided that maybe some folks don’t know the “Heroes’ Welcome” that some military, police folks and our guerrilla fighters, SWAT team members, bomb squad bunch and sniper specialists get when they’re at home. Note – if I get run out of Atlanta for the writing of this, how ‘bout remembering I was here and come get my children and their families out of shooting range . . . They showed me the hanging tree when I first got here, and I sure don’t need to see it now. 2. Do not expect banana pudding after dinner, if you’re talking blood and guts at the dinner table. 3. There are some things you best not tell anybody, but you damn sure better not keep from family. 4. Blood is thicker than water – the military didn’t bring you into this world and they’re not the ones going to come get you outta some mess. Your family comes first, its your birthright and your blood goes all the way back to Jesus and Joseph and Mary. So you better keep it in mind. 5. Don’t talk ugly – if you can say it, you can say it in a nice way because that reflects on your family and your upbringing. 6. The family’s reputation is everything. We don’t need the “neighboors” or them church people hearing about what you do for a living. 7. Its alright to tell it – not to detail it. We all know about guts and glory – just say you work for the government and leave it at that – everybody will know what you mean. 8. “If I’ve seen a John Wayne movie once, I’ve seen it a thousand times” – you don’t need to tell us what we’ve already seen in them movies. 9. If somebody’s arm got broke off – its up to you to put it back on unless they’re dead already. There’s just no excuse for sloppy. It’s ‘bout derelict. Doesn’t matter how it got that way. 10. All discharges of firearms, guns and other stuff you gotta use for your job aren’t to be done in the backyard up near the house. Don’t get down by the dawg pen neither – you ain’t shootin’ my dawg with your nonsense. 12. Don’t put gun cleaning products and stuff for your bomb squad on the top shelf of the kitchen cabinets where we got the aspirins and doctor medicines. 13. If anybody from Church, asks if you are related to us . . .
And you better tell ‘em no and if they say anything, tell ‘em to come talk to me. 15. Well, just don’t say that I didn’t warn you, we done told you to stay out of the military in the first place. We don’t need to hear about it now that you’ve gone and done it. We done told you the government don’t never get it right whenever they do anything – the only hope they got is that they got you working for ‘em now. And, don’t be taking the maps out of the glove box in the car, we need those when we go up to the mountains – surely, them military people gave y’all some maps you can read . . .
and don’t take the camp shovel that collapses on itself neither. If they hadn’t got one – they sure don’t know what to do with it. them military geniuses up there in Washington need to get their ears on and do something about it. They can buy damn near anything in the world but can’t get a collapsin’ camp shovel that works good? Who hired them damn people in Washington anyway? And – yes, this is funny and no, it is not. That is just the way it is. There is a day when I will learn why other people think they have the right to tell me how to express those experiences that I have lived in the way I have lived them. That day is not today. Where the Constitution mentions my Bill of Rights, there was no mention of a caveat about my Rights to my expressions and my experiences only surviving the opinion and judgement of others. Maybe it was there and I missed it. However, these experiences that I have had do not distance themselves so greatly from the experiences of many others. And, I refuse to accept that they cannot be told, cannot be believed and cannot be tolerated as fact. There are many ways to experience life in these United States, and not all of them include what it is “supposed” to be like. Thank you for your patience and sooner or later, when you can find some humor in this writing, we will all know you have healed beyond the measure of today. _”For the Winds of Change are vast and unstoppable. The truth may set you free but the reality will restore you to wisdom.” – direct quote from Cricket Diane C Phillips, (Sparky) – lifetime, patron member, Illuminatis.